The Earth produced vegetation: plants bearing seed according to their kind and trees producing fruit which has seed, according to their kind.. The present work is a sequel and the first English publication among the unique series of volumes “Flora of cultivated plants” started by N.I. Vavilov. Justifying the issuing of volumes of this serial on separate crops, he specified this publication as an encyclopedia on cultivated plants, major guidebook and directory for every biologist, plant breeder and plant grower. By now, the N.I.Vavilov Institute of Plant Industry (St. Petersburg, Russia) has issued several dozens of volumes of this serial dedicated to main agricultural crops with a bias towards national specificity of Russia and in Russian. The volume devoted to long-term study of the collection of some annual grain legumes was for the first time published in 1937. However, due to a number of circumstances lupin was not included in this volume. The present book embraces the results of more than sixty years of monographic research on lupin genetic resources. Research materials are represented by the lupin collection of the N.I. Vavilov Institute of Plant Industry (VIR) storing now more than 2500 accessions of different lupin species collected by numerous expeditions over the globe. Theoretical basis for our research activities were N.I. Vavilov’s works on plant genetic resources. We have used the special methodology of the Vavilov Institute developed with regard to lupin (Kurlovich et al., 1990b). Many years of observing plants sown in various regions have enabled us to find out new regularities in the variability of characters depending on genetic features of the species and accessions, and also on ecological and agronomic conditions of their growth. We have also disclosed new characters and their combinations, both taxonomically significant and genetically determined. This factor as well as generalization of the data obtained by other researchers (Zhukovsky, 1929; Kazimierski and Novacki, 1961; Gladstones, 1974; Maissurjan and Atabiekova, 1974; Kazimierski and Kazimierska, 1975) made it possible to introduce essential corrections in the intra-specific taxonomic and eco-geographic classifications of lupins. These classifications have been developed on the basis of Vavilov’s concepts (the doctrine about the species as a system, the law of homological series in hereditary variation, differential systematic and geographical method of crop studies, etc.). The sites for studying lupin accessions were chosen with regard to the duration of vegetation periods, and soil and climate conditions required obtaining vigorous seed of each sample. The collection of white lupin was reproduced in the non-black-soil zone of the Ukraine (Kiev Province); yellow lupin in the forest-steppe zone of the Ukraine (Zhitomir Province) and on non-black soils in the Ukraine (near Kiev); narrow-leafed lupin in the non-black-soil region of Russia (Moscow Province) and in the black-soil zone of Russia (Tambov Province); multifoliate or Washington lupin near Pushkin (Leningrad Province, 20 km away from St.Petersburg); Pearl lupin (L. mutabilis Sweet.) and other species from America in the black-soil zone of Russia (Tambov Province). Besides, with the purpose of revealing the range of variability for specific characters and substances, the same accessions were also reproduced in other places. In particular, for a significant part of accessions replication were performed at the former Sukhumi Experimental Station of the Vavilov Institute (in Abkhazia) in the conditions of humid subtropics, at the former Central Asian Branch of VIR (near Tashkent, Uzbekistan) in the conditions of dry climate, in the black-soil zone of the Ukraine (Poltava Province), in the conditions of non-black-soil zone of Russia near the town of Pushkin (Leningrad Province, 20 km from St.Petersburg), and in Bryansk Province (at the All-Russian Institute of Lupin and Novozybkov Branch of the All-Russian Institute of Fertilizers and Agricultural Soil Science). Field investigations have been supplemented by herbarium studies and laboratory analyses. The purpose of this research is to accomplish comprehensive study of the global botanical and varietal diversity of different species in order to gain deeper insight into the problems of lupin geography, evolution and classification, and also to find out regularities in the variability of major valuable morphological and biological properties in various eco-geographic conditions of its cultivation. The existing worldwide shortage of protein is generating special attention to lupin. In Russia, where climatic resources for cultivation of soybean are limited, lupin in the long run can play the role that soybean has gained in the U.S., i.e. it may become a highly efficient source of vegetative protein. Special interest in lupin is stirred up by high content of protein in its seed (up to 50%), as well as of oil (from 5 up to 20%) whose quality is close to that of olive, and by the absence of digestion inhibitors and other anti-nutritional substances. Lupin seed have been used since ancient times as human food and animal feed (Gross, 1988; Lopez-Bellido and Fuentes, 1986; Beirão da Costa, 1994). Green material of low-alkaloid (sweet) varieties is also excellent forage. Due to their symbiosis with nodule bacteria lupins are capable to accumulate in soil up to 200 kg of nitrogen per hectare, thus being perfect symbiotic plants. Utilizing lupin as green manure helps to protect environments from pollution, go without expensive fertilizers, and obtain ecologically clean products (Lopez-Bellido and Fuentes, 1986; Lopez-Bellido, 1994). It should be marked that the progress achieved by man in domestication of lupins is rather modest. Of several hundred lupin species existing in a nature, only three annual species and one perennial (Lupinus polyphyllus Lindl.) are used in Russian agriculture for forage production. However, many wild species of lupin are promising for agricultural use. Besides, further efforts are needed to solve the problems of plant resistance to diseases and pests, higher adaptability to unfavorable environmental factors, and breeding of forms with high technological properties for agricultural production. With these goals in view, special significance is acquired by scientifically justified selection of breeding sources, diversity of such materials, and the degree of comprehensiveness in studying them. In the outcome of long-term studies of the lupin collection stored at the N.I. 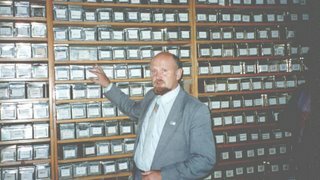 Vavilov Institute of Plant Industry, it became possible to accumulate a great deal of original data on this crop’s specific and varietal structure, its geography, ecology, systematization, genetics, biochemistry, immunology, and selection methods. All these issues are dealt with in the present book. It is based on our own researches, as well as on the research data received by prominent scientists, such as P.M. Zhukovsky, E.I. Sinskaya, B.M. Libkind, V.S. Fedotov, N.I. Sharapov, N.N. Ivanov, M.I. Smirnova, V.N. Dyubin and other experts who worked in the experimental network of the Vavilov Institute in different times, N.A. Maissurjan and A.I. Atabiekova who conducted fundamental research on lupin in Moscow Agricultural Academy. The national (Russian) and world literature on lupin has also been generalized. Russian references are made here in the original (Cyrillic) alphabet. In our opinion, this may facilitate their search and additional study. Our work essentially supplements the book published in 1998 by the scientists of Australia «Lupins as crop plants» (edited by J.S. Gladstones, C. Atkins and J. Hambling, 1998). In their book, the materials dedicated to studying and cultivation of lupin in Australia and many other countries were summarized. However, information about lupin growing in the ex-USSR countries was provided there on a limited scale, probably due to certain difficulties in translating Russian literature. It should also be mentioned here that the world community on the whole has very limited access to scientific information on lupin cultivation in the former Soviet Union. The present work is supposed to fill this gap, so that the data of the researches conducted by Russian scientists could be available to the world’s scientific community. We attempted to throw light on the global achievements in studying lupin by exposing the main developments of Russian, Polish, Byelorussian and Ukrainian scientists in this sphere. The contributors of this book are the liding scientists from Russia, Poland and Finland. Originally, the present work had been written in Russian ...(Kurlovich B.S., Rep'ev S.I., et al. 1995), but later was translated into English. The authors’ goal was to make scientific achievements of Russian scientists known to wider scientific circles of the world. Unfortunately, the English version of the text may contain discrepancies of translation and stylistic faults. The editor is making an apology for this; as it is actually his first attempt to present in English the existing voluminous materials about lupin in Russia. Special thanks are addressed to Mr. A.G. Krylov for his help and counsel while translating this book. I would like to express my gratitude and compliments to all scientists of the Vavilov Institute and other institutes, who carry on the work with plant genetic resources started by N.I. Vavilov. We were able to generalize this research only owing to the close cooperation and dialogue with many of them. Special gratitude is extended to Professors N.I. Korsakov, V.F. Dorofeev, M. G. Agaev, N.M. Chekalin, G.G. Davidjan, K.Z. Budin, B.N. Malinovsky, A.F. Merezko, B.V. Rygin, A.I. Shishkin, V.I.Bureniv and V.D. Kobyliansky, as well as to Drs. A.V. Khotyanovich, N.N. Nazarova, S.I. Pilipenko, V.A. Rybnikova, O.N. Korovina, M.P. Tarasov, T.V. Buravtseva, and F.T. Tarba. Theoretically, our research is founded on the works of Prof. N.I.Vavilov. Nikolai I. Vavilov is recognized as the foremost plant geographer, botanist and geneticist of this age. In the early 20th century, the world was yet unaware of the urgent necessity to protect the environments, and scientists thought little about gradual extinction of plant species. In fact, N.I. Vavilov was the first who understood the imperative of intensive plant collecting, studying and preservation, in spite of the hardest times he experienced in his life. In order to explore the major agricultural regions over the world, Vavilov organized and took part in over 100 collecting missions. During these expeditions, he always focused special attention on leguminous crops in general, and to lupin in particular, regarding it as a source of protein and means of increasing of soils fertility (Синская,1991). He considered this problem as the highest priority in biological and agricultural science and in the attempts to develop sustainable agricultural production. Collecting activities of N.I. Vavilov were started in 1916 with his foreign trip to Iran (Hamadan and Khorasan) and Pamir (Shungan, Rushan, Khorog), and never ceased until the end of his life. All expeditions undertaken by Vavilov and his followers were inspired with the idea of learning about the best plant resources of the world and placing them at the disposal of agricultural practice, thus enriching it with new valuable crops or varieties. As a result of these efforts, by 1940 about 200 thousand accessions had been stored in Vavilov’s collection. Such a rich diversity was thoroughly analyzed in various eco-geographic conditions, systematized and preserved. Vavilov’s foresight concerning possibility of quick disappearance of many valuable plant forms under the influence of human activity proved prophetic. Only for the last 20 years, dozens of plant species and forms have vanished from earth, but many species and forms were saved thanks to the collecting efforts of Vavilov and his followers. During our expeditions abroad, we were repeatedly addressed by the scientists of many countries (Brazil, Israel, Portugal, etc.) with requests to supply germplasm samples collected earlier in their countries by N.I. Vavilov. Such need was evoked by the situation when the requested plant forms with many valuable properties did not exist any more in natural or agricultural environments in these countries. Thanks to Vavilov, they were saved only in the collections of VIR, and are now freely available for everybody. In order to know the great diversity of plants, they ought to be systematized and put in order. Therefore, since the first years of its establishment and study, the plant collection has been used as basic material for working out vital laws and regularities of general biological nature, as well as theoretical fundamentals of plant breeding. The concept of global genetic diversity of cultivated plants remained the keystone of Vavilov’s work throughout his whole life. It incorporated a number of major theoretical conclusions, which played an important role in the development of botany, genetics and plant breeding. The law of homologous series in hereditary variation, idea of the species as a system, differential systematic and geographical method of crop research, botanical and geographical aspects of breeding, and the theory of the centers of origin of cultivated plants formed the core of these studies (Вавилов, 1920, 1926, 1935, 1940; Vavilov, 1997). Vavilov’s theory of plant introduction was developed on the basis of studying the earth’s vegetation. He identified a number of areas distinguished by exceptional diversity and richness of plant species and forms (Вавилов, 1965). Over 70 years ago (Vavilov, 1926), he substantiated the selection of five ancient foci of origin of cultural plants from local flora. Later (1935), he introduced additions and amendments to the decoding of these foci and outlined 6 foci and 2 centers of origin of cultivated plants. 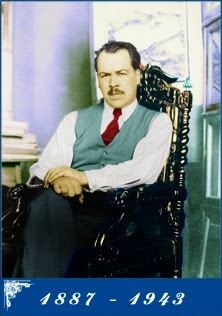 It is necessary to note that Vavilov always used to analyze his works in a critical way, developing and deepening their main conclusions in his subsequent publication. In 1940 (Вавилов, 1940), as well as in his Five Continents (published for the first time in Russian in 1962, and translated in English in 1997), Vavilov already named seven main primary centers of origin, placing foci within some of them. The Indian and Indo-Malaysian focus earlier described by him was, therefore, attributed to the South Asiatic tropical center (1940), which in 1962 was renamed Tropical. The Asia Minor and the Central Asian foci were attributed to the southwestern Asiatic center, and the South American center (1935) was renamed Andean (Вавилов, 1940, 1962, 1987). Finally, Vavilov offered the following seven centers: Tropical, East Asiatic, Southwestern Asiatic, Mediterranean, Abyssinian, Central American and Andean. Within the limits of some of these centers, specific geographical foci were also distinguished. According to Vavilov, a center of origin of cultural flora is determined by two prerequisite conditions: abundance of plants suitable for domestication in the local flora, and availability of an ancient agricultural civilization. The work on localization of the centers and foci of origin of cultivated plants was continued by Sinskaya (Синская, 1969), Zhukovsky (Жуковский, 1971), and other scientists from many countries. Sinskaja (1969), in her efforts to expand geographical connections and reciprocal interaction of cultural florae, suggested a broader notion of a historical-geographic area. She identified five areas and considerably updated the list of cultivated crops in each area. Zhukovsky (1971) accepted the theory of Vavilov’s centers, but increased their number to 12 and named them gene centers. Fig. 2. N.I. Vavilov’s centers of origin of cultivated plants (Вавилов, 1962, 1987a). I – The Tropical center, II – The East Asiatic center, III – The Southwest Asiatic center, IV – The Mediterranean center, V – Abyssinia, VI – The Central American center, VII – The Andean center. In our opinion (Kurlovich, 1998), there are centers of formation of wild plant species in the places of their origin after the last ice age, and also centers of origin (diversity) of cultivated plants in the places of their introduction into cultivation practice (domestication). Among the supporters of the existence of N.I. Vavilov’s centers there are many scientists from different countries (Kurth, 1957; Harris, 1967; Harlan, 1971; Брежнев and Коровина, 1981; Mathon, 1981). Some critics argue that it is very difficult to determine the very first geographical origin of a species. With this in view, they consider as more proper the term “centers of diversity” in lieu of Vavilov’s “centers of origin”. The term “centers of diversity” is regarded as a safer one (Pistorius, 1997). Thus, Vavilov’s theory of the centers of origin or diversity of cultivated plants has constantly been updated, improved, and even, in some respects, criticized, but it is nevertheless still used as a theoretical basis for collecting, study and utilization of crop genetic resources. So far as lupin is concerned, Vavilov considered the Mediterranean region and mountainous areas of Mexico, Peru and others American countries as native lands for this genus (Вавилов, 1926). Reviews performed on the basis of the approach offered by Vavilov helped to attain more precision in identifying centers of formation and origin for separate lupin species (L. albus L., L. luteus L. and L. angustifolius L.). Their centers were determined by applying the criterion of the greatest diversity of forms in a definite locality with primitive dominant characters. Distribution of lupins as crop plants also resulted in formation of their secondary centers in the areas of intensive cultivation. These findings made it possible to specify places of primary importance for collecting missions and obtain lupin samples valuable for future breeding for resistance to diseases, unfavorable conditions of cultivation, etc. Any plant species when studied in a wide range of geographical conditions, involving inbreeding, segregates into a wide range of hereditary forms, which is difficult to comprehend at first sight. Yet, in studying intraspecific diversity one can observe certain regularities and reveal similarities in accordance with to N.I. Vavilov’s law of homologous series in hereditary variation. The essence of this law may be described as follows. Species and genera more or less closely related to each other manifest similar series of variability lined up with such regularity that, knowing the succession of varieties in one species, one could forecast the existence of similar forms in other species or genera. The closer is the alliance between the species or genera within the general system, the more complete is their similarity in the series of variation. Whole plant families are in general characterized by a definite cycle of variability, which goes similarly through all genera and species of a given family. The laws discovered Vavilov help to put in order extensive materials of cultivated and wild vegetation. N.I. Vavilov marked out the congruity of variability in his description of the whole family of Fabaceae Lindl. The tables with the data and figures on this section are here. Proceeding from the study of separate genera within this family, he established the laws of their differentiation into varieties observable in the sets of characters displayed in seed, fruit, flowers, and vegetative organs. 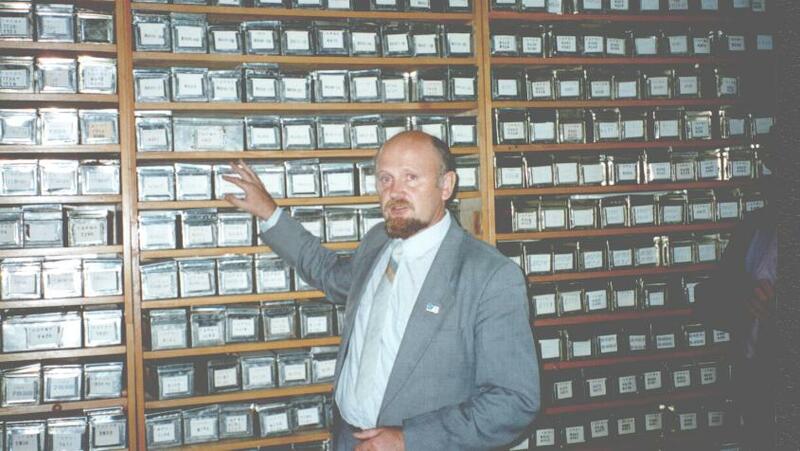 He provided detailed analysis of the variability of characters in the representatives of sections Vicieae, Trifolieae, Loteae, Galegae and Phaseoleae (Вавилов, 1920; 1987). It is clearly visible from his materials that, in spite of the differences existing between the above-mentioned sections, they demonstrate similar variability of characters, mandatory for all genera of the family. Although he presented no data as for the genus Lupinus L., subsequent investigations have shown, that Lupinus illustrates Vavilov’s law of homologous series in variation even better than any other genus of the Leguminosae family. Thus, conducting regular studies of the major lupin species one can observe not only immense diversity in many thousands of plant forms, but also parallel series even in pathological, mutagene and hybrid variability of a given plant. Describing the materials supporting his law of homologous series in hereditary variation, Vavilov paid considerable attention to the feature of plant color. Since various coloring of plants is an approved hereditary character transferred from generation to generation, it was introduced into systematic at a distinctive characteristic of separate species, varieties, subvarieties and smaller taxonomic units. Presently available data show that lupin has a correlation between the colors of seed, inflorescence, carina’s edge, and vegetative parts. These factors facilitate the task of making up intra - and interspecific systematics of plants (Вавилов, 1935). Combination of the coloring of seed, vegetative parts, inflorescence and carina’s edge in various species of lupin from both hemispheres, and complete parallelism in their age variability and in morphological and biological characters doubtlessly witness to their genetic closeness. Application of the above-mentioned laws allowed us to locate and describe several new forms so far unknown in different lupin species, and develop their intraspecific classification. The law of homologous series in hereditary variation gives an answer to the question what material should be looked for, while the theory of the centers of origin of cultivated plants provides an answer to the question where it could be found. To study intraspecific diversity and to determine the centers of origin of cultivated plants, Vavilov and his followers used a differential systematic and geographical method of crop studies (Вавилов, 1931), which meant as follows: · differentiation of a genus into species and intraspecific diversity with the help of morphological, hybridlogical, cytological and others methods; · determination of the genotypic composition of a species; · geographical localization of hereditary forms of a species as well as the centers of their diversity. Of great theoretical and practical importance and subject to further development is Vavilov’s concept of the species as a system (Вавилов, 1931,1965a). Previously, in the science prevailed the notion of Acad. Komarov about monotypic species. According to it, the species cannot include any systematic units of a lower rank (Комаров, 1931,1944). Also widely known was the concept of biological species which postulated impossibility of crossing between species (Grant, 1981,1984). Vavilov made a presentation of one of his fundamental concepts "Linnaean Species as a System". Practical study of several hundreds of species showed the absence of monotypic species, i.e. the species represented by one certain race alone or a certain form alone. Each species appeared to incorporate a larger or smaller number of forms (genotypes). Vavilov regarded a species as a flexible isolated complex morpho-physiological system linked in its genesis to a certain environment and area of distribution (Вавилов, 1931, 1965a). The research on several hundreds of cultivated species performed by a great number of scientists according to a strictly regulated program lead him to the understanding of the Linnaean species as a definite complex system, i.e. an integrity consisting of closely interlinked components, where the whole and the parts are merged with each other (Вавилов, 1965a, Агаев, 1987, Коровина, 1987). Therefore, in the study of species on the basis of Vavilov’s theories (concept of the species as a system, and differential systematic and geographical method of crop studies) attention was focused not only on morphological characters, but also on geographical and ecological differentiation and other properties of plants. Such approach supported by the development of different intraspecific classifications helped to accomplish profound and comprehensive analysis of intraspecific and varietal diversity of cultivated plants, and find ways of efficient utilization. In this respect, the International Code of botanical nomenclature fixed such categories as subspecies (subspecies), varieties (varietas), subvarieties (subvarietas) and form (forma). Besides, Vavilov gave special heed to eco-geographical differentiation of the species into ecotypes, geotypes, concultivars, etc. (Вавилов, 1931, 1965a). The postulate of the species as a complex multilateral phenomenon would urge a researcher to use diverse methods for identifying differences between intraspecific categories. In addition to the main morphological method, the scientists of the Vavilov Institute have widely used anatomic, cytological, caryological, paleobotanical, ontogenetic, biochemical, physiological, geographical, genetic and other methods. Such comprehensive approach is especially efficient when the intraspecific diversity of cultivated lupin forms is concerned. This Vavilov’s differential systematic and geographical method of crop studies is interconnected with other findings of N.I. Vavilov and is based on his law of homologous series in hereditary variation, his theory of the centers of origin (diversity) of cultivated plants, and his concept of the species as a system (Вавилов, 1920, 1926, 1935, 1987b). All Vavilov’s fundamental ideas interconnected among themselves and represent a complex doctrine about global genetic diversity of cultivated plants. On the basis of this doctrine, the experts of VIR have developed intraspecific classifications practically for all leguminous crops, including peas (Говоров, 1937; Макашева, 1979), mung bean (Попова, 1937), soybean (Корсаков, 1971, Теплякова, 1997), chickpea (Сеферова, 1997), and vetch (Станкевич and Репьев, 1999). These classifications make it possible to disclose completely the potential of leguminous crops, and they are widely used in breeding practice and plant science. We have also reviewed the system of Lupinus L. using Vavilov’s concept of the species as a system, and applied his differential systematic and geographical method in our studies. On this basis, we offer intraspecific and eco-geographical classifications for three cultivated annual species of lupin (L. albus L., L. luteus L. and L. angustifolius L.). This approach provided a possibility to perform a targeted search of genetic resources of lupins to solve problems of their evolution and selection. It enabled us not only to cast light on the diversity of lupin forms, but also to reveal a series of regularities in their variation depending on the degree of cultivation, geographic environments and soil conditions. Such outcome, in its turn, helped in finding and recommending valuable initial material for breeding. N.I. Vavilov laid a foundation of the lupin collection in VIR. Valuable accessions of white lupin (Lupinus albus L.) were collected by Vavilov during his trip to the Mediterranean in 1926. In Palestine, he managed to find very early, thermally neutral and small-seeded forms relating to the Jordanian ecotype. In particular, the duration of growing period of the sample Tel Karam (k-290) in the conditions of the Ukraine was only 105 days. From Sudan Vavilov brought, on the contrary, very late, but highly productive and large-seeded forms belonging to the Sudanese ecotype (k-486, k-495). Of special value as sources for lupin breeding in Russia, Poland and the Ukraine were samples of the Jordanian ecotype from Palestine. Their hybridization with samples of the Georgian ecotype, and also their involvement in combinations with application of mutagenesis, allowed V.I. 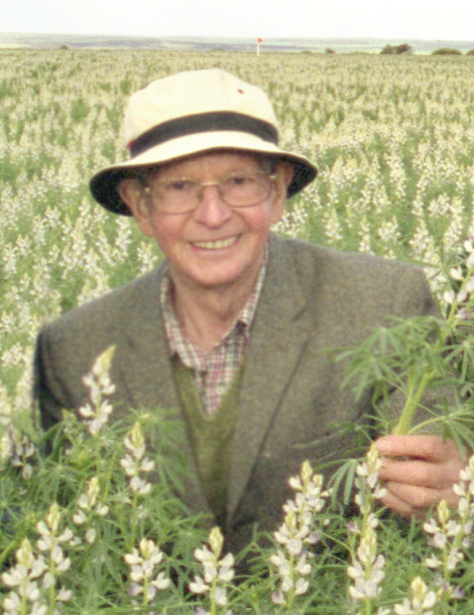 Golovchenko to create early and high productive cultivars of white lupin, Kievsky mutant, Horizont and Druzba, suitable for the condition of Russia and the Ukraine (Головченко et al, 1984). Not only did Vavilov collect and organize studying of the assembled plant materials, but also he constantly strove to improve methods of these studies. He took the initiative, in particular, to develop a simpler and more widely accessible method of determining alkaloids in lupin. This effort of his was inspired by the fact that the technique of detecting and determination of lupin forms with low alkaloid content elaborated in 1928-1929 by v. Sengbusch in Germany was kept secret, since sweet strains of lupin were sold to a private firm. As a result, under the leadership of Prof. N.N. Ivanov, M.I. Smirnova and other experts of VIR worked out an efficient rapid method for determination of alkaloids by means of different chemical reagents. It was immediately published for the first time in the world with the Introduction by N.I Vavilov (Иванов et al., 1932). This publication, together with the know-how of German scientists, launched the breeding work with fodder (sweet) low-alkaloid lupin on a worldwide scale. Numerous scientists in many countries continue the traditions and methods of Vavilov. On the field of cultivated crops, especially legumes, ideas of Vavilov have been further developed in Australia (Gladstones, 1974, 1998; Sweetingham, 1986, 1989; Cowling, 1994; Clements and Cowling, 1990, 1991), Finland (Hovinen, 1994; Tigerstedt, 1994), Germany (Diederichsen and Hammer, 1996), Italy (Laghetti et al., 1996; Saccardo, 1996), Poland (Swęcicki W, 1988; Swęcicki W.K., 1996; Kazimierski and Kazimierska, 1992; 1994), Portugal (Mota, 1984; Gusmão, 1988 ; Gusmão et al., 1996; Tavares de Sousa et al., 1992; Neves Martins; 1994; Dordio, 1996), Sweden (Blixt, 1970, 1996), UK (Polhill, 1976, Bisby, 1981; Ambrose, 1996) and many others. N.I. Vavilov symbolizes the glory of Russian and world science and, at the same time, personifies its tragedy. In the stifling atmosphere of Stalin’s totalitarian rule, the Institute of Plant Industry headed by Vavilov turned into a bulwark of resistance against the pseudoscientific ideas of Lysenko. Because of this controversy, Vavilov was arrested and died in prison in 1943. Nevertheless, the memory of Nikolai Vavilov was honored by his followers, and preserved in his collections of plant genetic resources, ideas and books. This priceless heritage of Vavilov not long ago was chronicled in his posthumous book Five Continents (Вавилов, 1962, 1987a, Vavilov, 1997). Scientific accomplishments presented further in this publication represent physical realization of Vavilov’s ideas with reference to lupin. More than 2500 accessions of lupin stored in the collection founded by Vavilov were used as materials for our research! Lupinus L. 1753, Sp.Pl. : 721-722; idem 1754, Gen. Pl. ed 5:322; Wats. 1873, Proc. Amer. Acad. Arts Sci. 8:522; Aschers at Graebn. 1907, Mitteleurop. Fl. 6, 2:220; Zhukovsky, 1929, Bull.Appl. Bot. Gen. Pl-Breed., 21, 1:253; Palibin, 1945, Fl. URSS, 11:48; Atabiekova, 1959, Bjull. Glav. Bot. Sad., 33:62; Vassilczenko, 1987, Fl. Europ. Parts URSS, 6:213. Lectotypus of genus: Lupinus albus L.
The genus Lupinus L. concerns to divisio Magnoliophyta (Angiospermae), subclassis Magnoliatae (Dicotyledoneae), superordo Rosanae Takht., ordo Fabales Nakai, familia Fabaceae Lindl. s.str. ( = Papilionaceae Giseke), tribus Luppineae Hutch. (Vassilczenko, 1987). The name of the genus descends from the Latin word lupus - wolf, which is probably connected with palmate leaflets resembling a footprint of the wolf (Palibin, 1945). This genus consists of annual and perennial herbaceous, fruticulose and fruticose species (all biotic plant forms except trees). Lupin has a tap root system. The main root reaches the depth of 1-2 m. The roots, especially the main axis, bear nodule bacteria of Bradyrhizobium sp. (Lupinus) fixing the nitrogen from air and transforming it in the arrested state. Lupin stems are grassy or arborescent, with different degrees of leafiness and terete in cross-section. Some forms have a stem distinctly fasciated in the apex. Branches are erect or erectopatent. The surface of the main stem and lateral branches is either pubescent with various degrees of density or naked with waxen tinge. Leafs are palmate compound, on long petioles connected to the stem by a cushion with elongate stipules. The shape of leaflets is variable: oval oblong, ovate oblong, obovate, narrow linear, lanceolate, lanceolate, etc. The surface of leaflets is in most cases pubescent. The inflorescence of lupin is polyanthous apical truss with alternate, semi-verticillate or verticillate arrangement of flowers. Flower corolla is zygomorphous and papilionaceous. It consists of a vexillum (banner), wings, carina (keel) and ovary with a pistil and 10 stamens. The development of flowers proceeds in cycles. In early phases the calyx forms a compressed ring consisting of five sepals. The vexillum covers the wings and keel. Initially the stamens are joined with each other, but later one of them becomes slightly separated from the other nine. Flowers of lupin do not contain nectar; however insects are attracted by their bright color, presence of pollen and a smelling liquid dispensed to the vexillum and other parts of the flower. Wings of lupin flowers have concavo-convex shape, being narrow oval, oval or broad oval. They are densely clustered on the top and sparse on each side. The carina is falcate or falcate curved, less frequently it is more or less straight, and appreciably tapering. The topmost part of the carina forms a firm beak with a small dot-like aperture for pollen and the stigma of the pistil. The basis of the carina is always open to a small extent. The carina is transparent, colorless or weakly hued. The carina’s edge can be colorless, weakly hued or intensively colored, almost black with anthocyanin. Coloring of the carina’s edge is a simple and convenient distinctive character of different lupin forms and varieties. It is taken into account in the course of breeding process and taxonomic studies. The color of the carina depends from the presence of chloroplasts, anthocyanin and others pigments. Lupin bean is orbicular or flattened, straight or curved, and slightly squeezed. Pod surface is rough, frequently with outstanding nerves; pod color is cream, brown or black. Sometimes there are interceptions formed by crumbly-celled tissue that separates seeds from each other in the pod. The pod terminates with an arched columella. Lupin seed are very diverse in size, shape and color. Seed surface is smooth or fine-meshed. The seedstalk hangs over the micropyle. The platen, where the seedstalk is located, is much thicker than the rest of the hull. The bent embryo is at the top of the cotyledons where nutrient substances are reserved. Primary true leaves are opposite, while other leaves unseen before germination are alternate. There is no clear notion about the quantity of true species within the genus Lupinus L. Their number is considered to be from 100-200 up to 800-1000 and even more. This may be explained by the extensive area of lupin’s distribution and wide ecological amplitude of its habitats. Wild lupins are concentrated in two large regions: Mediterranean-African (eastern hemisphere) and American (western hemisphere). According to Gladstones (1974, 1998), there are 12 species of lupin in the Mediterranean region and Africa. They are described as 11 annual species and 1 perennial, which probably has already disappeared. Lupin grows in this region on light-textured soils, mainly at small heights or on seacoasts. Most of the species are characterized by one-year-long or frequently winter mode of life and have large seeds. This is also typical for others plants of this center of distribution. Wild lupins are located on the outcrops of parent mountain rocks (granite, crystal slates), on acid volcanic clinkers and on the soils arisen as a result of eolation (Майсурян and Атабекова, 1974). Similar soil types occur in more or less large areas in the countries of the Mediterranean pool. They have acidic reaction and are suitable for growth and development of wilds lupins. Some of the rather small quantity of species in this center are domesticated and widely cultivated in Australia and in many countries of Europe, Asia and Africa. Most widely introduced in agricultural practice of many countries are: Lupinus albus L. (white lupin), Lupinus angustifolius L. (narrow-leafed lupin) and Lupinus luteus L. (yellow lupin). L. cosentinii Guss, L. atlaticus Gladstones and L. pilosus Murr. were domesticated in Australia quite recently and are now cultivated on sandy soils with alkaline reaction. In the western hemisphere, lupins are distributed from the ocean level up to 4800 m above see level and higher, spreading from the island of Tierra del Fuego to Alaska and from Pacific to the Atlantic Ocean. The greatest diversity of species is concentrated in the sub-Alpine and Alpine zones of the Andes/Cordilleras mountain system. Lupin plays in these zones a dominant role. It is usually represented by tall perennial herbaceous, fruticulose and fruticose species, plants quite often reaching a height of 4 m and more. On more open and dryer sites with less fertile soils one can meet dwarfish forms of lupin. At foothills and on plains of America more frequent are annual and biennial lupins, many of which inhabit rather poor soils and quite droughty areas. Among them there are ephemeredes. Until now it is not clear how many indigenous species of lupin are in America. This may be explained partly by inaccessibility of the places of lupin distribution, extraordinary wide variability and weak differentiation of characters, extensiveness of the area and inconsistency of literary data. According to Index Kewensis in New World there are in total about 1000 species of lupin, according to the data of C.P. Smith (1917,1924) - 847, and according to the earlier published data of Stepanova (Степанова, 1973, 1985) – 972. However, majority of the researchers agree that the real number of the existing lupin species, excluding synonyms, does not exceed 200. Of the American species, pearl lupin «Tarwi» (Lupinus mutabilis Sweet.) was domesticated by ancient American Indians as long ago as in the 7th - 6th centuries up to BC. 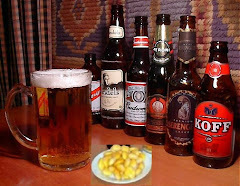 Nowadays it is widely cultivated on different continents. Multifoliate or Washington lupin (Lupinus polyphyllus Lindl.) is also either naturalized or cultivated in many countries. Lupin plants are xeromesopfytes by nature, being distinguished by high drought resistance. Some species grow even in the deserts of Arizona, Oregon, Texas, California and New Mexico, on the plateaus of Mexico, in the deserts of Peru and Chile, and in the oases of Sakhara. In the Mediterranean countries lupin grows on seacoast sands, on meadows and deposits, in cliff fissures with cultivated plants. The majority of lupin forms are adapted to moderate temperatures, but several North-American species tolerate even very low temperatures (L. arcticus Wats.). In the damp tropics of Brazil lupin does not occur. The plants previously described as lupin have appeared to be a species of another close genus, Crotalaria (Майсурян, Атабекова, 1974). Domesticated lupin species have been grown as a cultivated crop in many countries on five continents of the Earth. Subsequent sections will contain more detailed information on lupin cultivation. Fischer and Sengbusch (1935) supposed that there were three centers of origin of different lupin species, one in the Mediterranean region and two in the American continent – in North and South Americas. Their existence on different continents has allowed the authors to surmise that these centers were secondary ones. Having analyzed the specific structure of lupin, Zhukovsky (1929) presumed that lupin is a plant of the New World and only its separate branches spread to the Mediterranean area of the Old World. The center of development of this genus, according to Zhukovsky (1929), is located in North America. Commonly accepted supposition is that Lupinus evolved from the tropical and subtropical Sophoreae, a primitive generalized tribe of subfamily Papilionoideae (Gladstones, 1998). Sophoreae, in their turn, are believed to have arisen from a still more primitive legume subfamily, Caesalpinioideae, probably in the Palaeocene or Eocene epochs of the Tertiary, some 40-70 million years BC (Polhill et al., 1981). Concerning subsequent genesis of lupin, which is presumed to happen in the period from the middle to late Tertiary, different schools of thought diverge in their opinions. The Northern Hemisphere Genisteae pathway. This school (Polhill, 1976, 1981a, 1981b; Bisby, 1981) places Lupinus in the tribe of Genisteae (sensu stricto). Bisby (1981) goes further stating that Lupinus should be elevated to a higher level to become monogeneric subtribe Lupininae. The remaining genera of the tribe, comprising the Cytisus-Genista complex, would make up subtribe Genistinae. Polhill (1976) and Turner (1981) suggested that Genisteae tribe evolved from the African Sophoreae via Thermopsideae, a tribe of temperate papilionoid shrubs and perennial herbs. Hence, the annual habit of the Old World lupins, together with the limited number of surviving species and wide genetic gaps between them, could be attributed to the increasing aridity from the Miocene (10 - 25 million years BC) onwards (Gladtones, 1998). The presence of lupin on both sides of the Atlantic points to early disjunction between the respective populations, but how early it happened remains unclear. Raven and Polhill (1981) supposed that Eurasia and North America remained in effective contact right up to the Miocene, via both the North Atlantic and Bering Strait. Legume seeds can be transported over quite long distances across the ocean by migrating birds, etc., due to their ability to resist water and digestive processes. Plitmann (1981) postulated that lupin evolved in North America from a thermopsoid ancestor that had migrated earlier from the Old World, and that early species, in their turn, spread to the Mediterranean and South America by the above-mentioned long-distance transport. The latter route would have been supplemented by direct land migration once the Americas joined up about 5.7 million years BC (Raven and Polhill, 1981). The traditional diploid genetic behavior of the Old World lupin species shows that polyploidy among them, at least, must be ancient. Polyploidy was thus probably fundamental to the evolution of the genus, or of the broader ancestral group (Gladstones, 1998). The DNA studies of Käss and Wink (1998) suggest, on the other hand, that differentiation within the genus itself took place fairly recently, within the last 12-14 million years. If this is in any way close to the truth, it rules out the origin of this genus before the separation of Americas from Eurasia and Africa by continental drift. Dispersion of species or protospecies must therefore have taken place partially by long-distance seed transport across the ocean. The commonest explicit or implicit assumption (e.g. Nowacki and Jaworski, 1978; Raven and Polhill, 1981; Wolko and Weeden, 1990) is that it was directed westwards to America from Europe or Africa (Gladstones, 1998). Opposing this idea, Cristofolini (1989) upheld the original evolution from Asian Sophoreae, along with other Genisteae, followed by independent migration of the ancestral American lupins eastwards across Bering Strait or a preceding land bridge, and of the ancestors of the Old World lupins westwards to the Mediterranean and Africa. Both of the presently existing ranges of distribution, according to this concept, may be regarded as refuges from climate deterioration in Asia itself, and have centers of independent evolution from the early stages of existence of the genus (Gladstones, 1998). The Southern Hemisphere pathway. Dunn (1984) and Gross (1986) presented a radically different hypothesis: Lupinus originated in South America, from Crotalaria. Once included as a subtribe under the Genisteae sensu lato (Bentham, 1865), Crotalarieae are now regarded as a separate tribe, having a tropical or subtropical distribution centered largely on southern Africa, but with extension to neighboring continents (Polhill, 1976, 1981b). Lupinus, then, would have evolved from such a background, probably in South America following the Atlantic disjunction, and radiated secondarily from there. This hypothesis regards perennial simple-leaved lupins from subtropical Brazil as the ancestral form. It sees compound leaves and the am habit as evolving later, perhaps as opportunistic adaptation to shortness of seasons or aridity in the neighboring regions, such as the Andean Highlands. Migration to North America could have taken place both earlier, by long-distance transport, and later, directly by land. Evidence of the former is observed in the presence of two simple-leaved species in southeastern USA (Gladstones, 1998). Dunn’s (1984) consideration that Mediterranean lupins were introduced from South America by humans must surely be discounted, despite certain similarities between species. It is possible that the opposite thing occurred, i.e. that modern Mediterranean forms were introduced by early settlers and some became naturalized in South America. Either way, Zhukovsky (1929) considered L. linearis to be so much like L. angustifolius as to be probably identical with it. More detailed evidence is needed to settle this question. Presumable descent of Lupinus from Crotalaria would require large changes in the chromosome number. Goldblatt (1981) listed Crotalaria as having 2n = 14-16 and Crotalarieae in general as having 2n = 14 - 18. Little is known of the cytology of Atlantic forms of South American lupin species, but the chromosome numbers of the North American and Andean species are known to range from 2n = 36 to 2n = 96, with 2n = 48 being the most widespread. Dunn (1984) and Gross (1986) postulated the necessary changes by aneuploidy in the base number from 7 to 6, followed by repeated chromosome doubling associated with the evolution of annual and compound-leaved plants and adaptation to cooler or more arid climates. We believe that in both suppositions there is a grain of truth and something to speculate about and that they should not be disregarded when a synthesized hypothesis is developed. Common ancient ancestor of lupin, which existed up to the divergence of continents (our hypothesis). We suggest a hypothesis of genesis and distribution of lupin arising from the geological past of our planet. Many researchers associate the evolution of life on the Earth with the theory of a drift of continents (Вегенер, 1925, Wegener, 1966). The modern theory of tectonic plates differs in several important aspects from that of Wegener's continental drift, however the former was developed on the basis of the latter (Dietz and Holden, 1972; Ушаков, Ясманов, 1984). According to the data of the above-mentioned authors, approximately 180 million years ago the ancient supercontinent of Pangea divided into two large parts – Lavrasia and Gondvana (Fig. 4A). About 135 million years ago there came splitting of Gondvana (Fig. 4B). As a result, South America was carved out of Africa. Nearly 50 million years ago partition of Lavrasia took place (Fig. 4C) which led to disconnection of North America from Europe. During the last 40 million years further extension of the basin of the Atlantic went on. In this period, South America was joined with North America and the continents acquired their modern configuration. There were isolated conditions on the continents, but because of those shifts the climate changed, which was mirrored in the evolution of florae. These epicyclical factors in combination with sporadic changes of solar radiation induced mutations of plants. They caused not only their extinction, but also uneven development. On different continents changes occurred differently and resulted in broad variability of florae. According to this hypothesis the unified primary center of formation for most ancient ancestors of lupin probably existed in the Cretaceous and subsequent periods until the splitting of continents initially on Pangea and afterwards on Lavrasia and Gondvana. Further on, as a result of subsequent division of the continents, the development of remote ancestors of lupin continued independently on the divided parts. It was homologous but not identical, pursuant to the Vavilov’s law (1920). As reported in publications (Ушаков, Ясманов, 1984), fast development and seizure of new biotic spaces by angiospermous vegetation started in the Cretaceous period. At that time there were many families of angiospermous plants, including the family Fabaceae Lindl. Proceeding from this thesis it is possible to surmise that a considerable proportion of ancient progenitors of lupins appeared also in the Cretaceous period in Lavrasia, and predominantly in its western part which subsequently turned into North America. It is confirmed by today’s presence on the American continent of a large number of species with more primitive features from the evolutionary viewpoint (long-term cycle of development, predominantly small-sized seed, monopodial branching). Because of the disjunction of continents the main part of the territory covered by the progenitors of lupin went to North America, while the second smaller part was left with Europe. This supposition is attested to by the presence of homologous series in heritable variation in the presently existing lupin forms in both hemispheres. Phylogenic proximity between them is confirmed by the combination of such attributes as coloring of seed, flowers and vegetative organs, and also by the parallelism in their age, pathological, mutational and hybridological variability. Further distribution of lupins or their progenitors from the north to the south, in particular from North America into Central and even South America and from Northern Europe into the countries of the Mediterranean and Africa, could have been provoked by periodically recurring changes of climate, chill and thaw, seismic activity or oscillations of the magnetic field. On the other hand, it is possible to explain the distribution of lupin in the indicated directions and their dissimilarities on different continents (in particular in Europe and Africa) by the previous drifts of the continents. Distribution and divergence of lupin progenitors could take place when Pangea divided into two large parts – Lavrasia and Gondvana – and later after the splitting of Gondvana. This problem provides free play to one’s fancy. When the continent drifted apart, however, lupin ancestors found themselves in isolated environments and started their independent development. The species of lupin currently existing in both hemispheres already emerged after the splitting of the continents. It explains the existence of two absolutely isolated lupin groups differing in morphological characters, development cycles, sets of chromosomes and having a genetic barrier against crossing. Thus two secondary centers of formation of different lupin species were derived, one of which was in the Mediterranean area and the other one on the American continent. In the process of further development their areas underwent certain changes. In particular, the essential influence on the southward migration of vegetation was produced by the fall of temperature that preceded glaciating. With subsequent thawing plants step by step regained the areas freed from ice, although they remained in the former habitat as well. This phenomenon calls for a reference to the Vavilov’s work (Вавилов, 1987б) where he explains why such high concentration of florae is observed southwards of North America. According to Vavilov, it was determined by favorable environments and conditions that neutralized the effect of the glaciers which were moving from the north and exterminated all plant diversity in the most part of North America’s territory in the last geological epoch. Besides, a considerable influence on the distribution of species and their concentration in separate locales was rendered by the processes of orogenesis, which brought about contrasting environmental factors. Part of the species settled between mountains, while other ones came closer to mountain tops. For this reason, a large number of New World lupin species massed up in the mining belt of the Andes along their whole length. Practically the same climate-forming and geological processes went on in the European part. Migration of lupins or their progenitors to the south of Europe as well as into Asia and Africa could be influenced by the dehumidification of the Mediterranean basin area that took place about 5 million years ago and by the glaciation of the northern part of Europe. Initial progenitors of Lupinus genus developed in the western hemisphere in the conditions of a moderate climate (Gladstones, 1974). Predisposition of present-day annual lupins of the Old World to sedimentary and crystalline volcanic soils indicates that the center of their initial development was the pre-Cambrian massif of Central Sahara. Subsequent processes of mountain formation and increasing aridity of the climate resulted in desiccation and dehumidification of the ancient tertiary sea Tetis and the whole area of the ancient Mediterranean. This led to the loss of the subtropical flora, including the majority of lupin forms. Their ancient habitat, already with new arid conditions, was retained by solely two species, L. digitatus Forsk. and L. palaestinus Boiss., but the others had to retreat to narrow niches in outlying areas. Morphological and cytological links with the present-day lupin forms of the Old World could hardly be discerned. They can be considered as the products of the earlier differentiation of genera. Their small quantity testifies to the extinction of many species. Purely Mediterranean lupins developed more recently than African ones (apparently after the tertiary age). Old World lupins have clear genetic barriers and different chromosome numbers. Typical Mediterranean species (with smooth seeds) have more or less broad areas and wider morphological variability. The species of the African group (with rough seeds) are relicts and occupy very limited areas. All Mediterranean and African species are adapted to rather scanty non-carbonaceous soils, which is peculiar to most of tropical and subtropical legumes characterized by nitrogen-fixing ability with the help of Bradyrhizobium sp. (Lupinus) bacteria. Owing to their symbiosis with microorganisms, these lupins are tolerant to heat, acid soils and sand. Cultivated lupins from the Mediterranean area (white, yellow and narrow-leafed forms) negatively react to an increased content of carbonates in them. In the Mediterranean countries where dominating are the soils that demonstrate alkaline reaction of soil solution, wild forms of these species occur on the outcrops of acidic rocks (granites, gneisses, crystalline shales, volcanic long walls) and on the soils composed of the products of their weathering (including sand). In view of this, it seems possible to regard the mining site where a wild form occurs as a primary area of its origin. More ancient in this region are such infrequent connate lupins as L. digitatus Forsk. occurring in the oases of the Sahara and L. princei Harms growing in the mountains of Kenya, Ethiopia and Tanzania. Cultivated L. albus, L. luteus and L. angustifolius may be regarded as younger secondary species. Almost all Mediterranean lupins are annual, but among them some winter forms may be found. The American group of lupins is undergoing the process of segregation. In North and South Americas there are many annual and perennial species that quite often grow together. There is a set of ecotypes adapted to different soil and ecological conditions. Lupin species here are often poorly discernible from one another and easily cross between themselves. Thus, optimal conditions (moisture, heat, substratum, etc.) for their development are observed in mining areas of the tropics between the latitudes of 50°-55° north and south. Within these limits the greatest diversity of wild lupin forms is concentrated. Plants of American lupin are powerful and tall mesophytes and diploids. Most of them have obviously reached us in their initial shape with almost unchanged appearance. Processes of mountain formation here were not so disastrous as in Eurasia and Northern Africa. Relief of the mines, presence of natural isolators and variability of environments influenced the partition and differentiation of lupins. Different species of lupin gradually migrated from mountains to lowlands toward more moderate, cold and arid areas, thus spreading far northwards and southwards as far as the zone of tundra. The Andes served as the arena for the current intensive formation of lupin. This mining massif was an ancient center of genesis of many species and one of the centers of origin of cultivated plants (Вавилов, 1965b; Синская, 1969). Peru, Bolivia and Ecuador represent the most ancient center of primary agriculture in the New World. Until now the ancient culture of Andean pearl lupin (L. mutabilis Sweet) was preserved at the altitude of 3200-3400 m above sea level. This species occurs there also as wild plants in natural communities. Also widespread in North America is multifoliate or Washington lupin (L. polyphyllus Lindl.). Its area of distribution stretches from California northwards up to Alaska. It is distinguished for frost resistance and large yield of green matter. This lupin has been domesticated in European countries for green manure and as a fodder plant (sweet forms). This species was also naturalized in Belarus and other countries. American lupins have preserved all traits of their ancestors and relationship with the most ancient part of the genus. Lupins from the Old and New Worlds have different caryological, embryological and biochemical characters. According to the number of chromosomes, they make two geographically oriented groups located in conformity with their polyploidy series. American lupin forms are somewhat less specialized than Mediterranean ones. They are characterized by a more primitive monopodial type of branching and by the cross-pollination habit (with the help of insects). Their plants are heterozygous and easily generate all possible mutations. Seeds are small, the embryo is gently differentiated, it is insufficient in endosperm and located close to the seed cover, with a lengthened hypocotyl. Rather specialized Mediterranean lupin forms are characterized by a more advanced type of branching (sympodial); for them, self-pollination is dominating. Seeds are larger, the embryo is well-formed, with two sedentary leaves or a very short hypocotyl. Lupins from the Mediterranean region and those from America are also contrasting in storage proteins, each of the groups having determinants specific for their native hemisphere. These distinctions between lupins of the two continents have induced us to search for a more accurate definition of their systematic position in the generic system. Considering the two secondary centers of formation of different lupin species identified in the Mediterranean areas of Europe and Africa and on the American continent and essential morphological differences between lupins of the two hemispheres, we made revision of two subgenera in Lupinus L. genus according to geographic principle. In our reclassification, subgen. Platycarpos (Wats). Kurl. incorporates numerous perennial and annual species of the western hemisphere, both types having two, four or more seedbuds in ovules, and subgen. Lupinus L. – 11 species from the Mediterranean region and Africa with four or more seedbuds. Cultivated in Mediterranean lupins (L. albus, L. luteus and L. angustifolius) belong to the type of plants which may be characterized by only partial transition to domesticated conditions in the centers of their formation (Е.Н. Синская, 1969). Under cultivation all of them retained the customary structure and conventional large regional ecotypes typical for subspecies. White lupin was the first to be cultivated. It was the only cultivated lupin in the Ancient Greece. Its large seeds, well soaked, strongly salted, seasoned with vinegar and vegetable oil, served as food for humans. They also were used as forage for cattle. In Georgia L. albus was grown under the name of hancholy. This species was described in Egypt for the second time after Linnaeus as L. termis Forsk. In ancient Egypt and Palestine it was called thurmus, which means “hot”. Now Egyptian representatives of this lupin species differ from Greek forms of L. albus only by thinner stalks, small-sized seeds, blue flowers and early flowering. This circumstance makes it possible to rank L. termis as a subspecies within L. albus L. For a long time L. albus was regarded as a crop plant, which had lost connections with its wild relatives. However, we have got accessions with colored flowers and small-sized dark-brown mottled seed, earlier widely distributed in Greece (including Grecian islands) and described as L. graecus Boiss. et Reut. There are certain grounds to estimate them also as an initial subspecies for cultivated L. albus L. This subspecies occurs in the wild in the form of one-, two- and four-year plants with a leaf rosette, intensively colored flowers and smaller-sized dark-brown mottled seed. It is freely crossed with the cultivated forms of L. albus L. The Mediterranean lupin species are difficultly or cannot cross with each other and cannot cross with the American species. That testifies to the absence of close relationship between them. Successful crossing in such pairs of annual American species as L. mutabilis Sweet with L. ornatus Dougl. or L. pubescens Benth. confirms that they belong to two closely related, though geographically isolated groups. The annual species L. elegans H.B.K. is easily crossed with perennial L. mexicanus Cerv. (= L. hartwegii Lindl.). Apparently, they are also closely related, being, however, isolated in their altitudinal distribution. Difficulties in crossing perennial L. arboreus Sims. with L. mexicanus Cerv. and L. polyphyllus Lindl., experienced by Kazimierski and Novacki (1961a), prove that geographic isolation of these forms has resulted in certain genetic changes. It is possible to regard lupin as a primitive crop plant for the reason that it poorly grows on freshly plowed fields and its plantings do not require special maintenance. It usually prefers acid soil and sandy underground. Only two species (L. albus L.) and (L. mutabilis Sweet) can be considered as completely domesticated. They are large-seeded species developed through thousands of years of selection. Ancient people had collected seed from plants of these species, sowed them in the disturbed soils around their dwellings and bred them. Other lupin species presently under cultivation are directly linked with wild forms. They have preserved the tendency of fast forfeiting their cultural characters when their selection terminates or becomes less intensive. Analysis of geographic and ecological distribution of lupin species with the help of N.I. Vavilov’s differential systematic geographical method of crop studies (Вавилов, 1926, 1931, 1935) provides for more accurate identification of the centers of development and origin of different lupin forms (Kurlovich, 1998). The center of formation of wild white lupin (L. albus) and the primary center of origin (diversity) of its initial cultivated forms is the Balkan Peninsular, where an exceptionally rich diversity of wild forms, including those that turned wild, and local ones are concentrated. Three subspecies of white lupin (subsp. graecus Franko et Silva, subsp. termis Ponert., subsp. albus) grow in the Balkans. This region also harbors wild forms with dark-brown mottled seeds and dark-blue flowers (subsp. graecus). The Apennines and Egypt are also centers of origin of cultivated white lupin forms that have been cultivated there since the earliest recorded history. Moreover, widespread in the ancient Egypt were the forms with pink-and-blue or light-pink flowers (subsp. termis). The Apennines was abundant of the forms with grayish and light blue or white flowers (subsp. albus). In the Pyrenees exist two closely cognate species (L. luteus and L. hispanicus Boiss. et Reut) having the same number of chromosomes (2n=52). There is wide diversity of wild and cultivated forms of yellow lupin (L. luteus) with a long historical period of growing there. All this supports the assumption that the Pyrenees was the center of formation of the wild forms of yellow lupin and the center of origin of its cultivated plants. The Pyrenees are probably also the center of formation and origin of the blue lupin (L. angustifolius), because this peninsula shows the highest concen­tration and the widest diversity of its forms. As a result of wider utilization of lupin in agriculture, its area of cultivation gradually increased leading to the forma­tion of secondary macro- and microcentres of origin of culti­vated lupin forms. These correspond to the many geotypes we have described. Our researches on these problems are considered in more detail in following sections. Lupin was known long before C. Linnaeus; the botanists of the 16th -17th centuries wrote about it. Lobel (1591) mentioned three species: L.sativus (= L.albus L.), L. flore purpureo (= L.angustifolius L.) and L. flore luteo (= L. luteus L.). Clusius (1601) nameed L. albus, L. angustifolius and L. luteus. Bauhin (1651) listed four species: L.vulgaris semine et flore albo sativus (L. albus), L. exolicus hirsutissimus (L.micranthus), L. luteo florri semine compresso, vario (L. luteus) and L. sylvestris, purpureo flore, semine rotundo vario (L. angustifolius). Tournefort (1719) presented a description of the genus Lupinus and mentioned a number of species known at that time. Linnaeus (1753) described six species: L. albus L., L. angustifolius L., L. hirsutus L., L. perennis L., L. varius L. and L. luteus L. All of them, except L. perennis, represent Mediterranean lupins. Afterwards, Mediterranean species of lupin were described by Lamarck (1778, 1789) and Candolle (1825). Study of lupin forms from the New World began later. Lindley (1827, 1837) provided description of the following species of American origin – L. bicolor, L. polyphyllus, L.hartwegii and L.barkeri, – which became quite popular. In 1833-1859 the works of Bentham (1833, 1835, 1839, 1859) were published. He described a number of species, among which the most known were L. hilarianus, L. hirsutissimus, L. densiflorus and L. pubescens, cultivated as ornamental plants. Such species as L. albifrons, L. arvensis, L. bilineatus. L. bogotensis, L. caespitosus, L. coriaceus, L. foliolosus, L. humifusus, L. interruptus, L. laevigatus, L. lanatus, L. leptocarpus, L. leptophylius, L. lucidus, L. macrophyllus, L. ramosiseimus, L. sparsiflorus, L. subsessilis, L. tauris, L. vaginanus and L. velutinus, described by the same author, were less known, being in most cases synonyms of the species already described. For example, L. sparsiflorus Benth. is synonymous to L. micranthus Dougl., L. bilineatus Benth. to L. Hartwegii Lindl., L. macrophyllus Benth. to L. polyhypllus Lindl., L. albifrons Benth. to L. chamissonis Eschsch. The research works of Douglas (1828, 1829, 1835 and 1861) published from 1828 to 1861 in various editions are referred to the same period. Among the species described by him widely known in horticulture became L. ornatus Dougl., L. succulentus Dougl. and L. nanus Dougl., now represented in agriculture by a considerable number of varieties and forms. L. succulentus Dougl. is a synonym of L. Barkeri Lindl. However, the basic monograph dedicated to the analysis of genus Lupinus was the work of Agardh (1835), «Sinopsis Generis Lupini», based mainly on the materials from Lindley’s herbarium. In this general study the author provided detailed description of 83 lupin species, of which 7 were placed in the list «Species Inquireude». Agardh (1835) analyzed the following species: L. affinis, L. aureus, L. concinnus, L. cytisoides, L. Douglassii, L glabratus, L. gracilis, L. Gussoneanus, L. Hornemanni, L. Kunthii, L. latifolius, L. leucopsis, L. Lindleyanus, L. Menziesii, L. Milleri, L. prostratus. L. rivularis and L. stripulatus. Within the genus Lupinus L. he identified ten tribes: L. lutei, L. pilosi, L. albi, L. angustifoli, L. polyphylli, L. nootkatensi, L. arborei, L. serigei, L. paniculati and L. microphylli. Some of the indicated species differed by integral leaves and were later referred to another tribe, Genisteae. As to the characteristics of the above-listed species, Agardh regarded many of them as synonymous or closely related to the already known ones, marking the identity or likeness of their traits. However, in his search for an objective overview of lupin systemization he was hindered by the convictions of other botanists with authority. Nevertheless, Agardh’s researches were based on a diversity of materials and presented very careful descriptions of plants, so they have exclusive value. His major mistake was complete neglect of the geographic principle. For example, in the same tribe of L. lutei he included, on the one hand, L. luteus which originated in the eastern hemisphere and, on the other hand, the species from the western hemisphere, L. Menziesii Agardh and L. densiflorus Behth. The tribe of L. angustifolii harbored spp. L. angustifolius L. and L. linifolius Roth. together with spp. L. nanus Dougl. and L. leptophylius Benth., notwithstanding different genesis of both pairs. The tribe of L. albi also incorporated lupin forms of both New and Old World’s origin. These circumstances, however, do not deprive Agardh’s monograph of its value; this work of his set up a solid foundation for botanical analysis of Lupinus L. genus. By the end of 1835, that is by the time when Agardh’s monograph was published, about a hundred of different lupin species were reported to have already been described. During the whole 19th century, as well as in the beginning of the 20th century, new and new descriptions of different lupin species appeared. Among the most significant achievements worth mentioning are the works of Watson (1871, 1873 and 1890) who managed to present descriptions of 56 lupin species from various areas of the extra-tropical North America. Besides, the genus Lupinus L., and in particular its North-American species, were rearranged by Watson (1873) into three parts: Lupinus, Platycarpos and Lupinnelus. Differences in habit and in the number of ovules were accepted as the criteria for such classification. Most of the perennial and annual species from the American continent described by Watson were referred to Lupinus. The section of Platycarpos included some annual species with two ovules and seeds in the pod (L. densiflorus Benth., L.micricarpus Sims. and others). Lupinnelus section consisted of one species (L. uncialis) having axillary and solitary flowers, scarcely reflexed banner and also two ovules. The existence of such species now seems doubtful. The same classification principle was later in the studies of Ascherson and Graebner (1906-1910) extended to all lupins from the eastern and western hemispheres. In the beginning of the 20th century this generalized arrangement of lupin diversity was the fullest and most detailed. It is often referred to by modern experts in plant taxonomy. This work recognized the achievements of the previous explorers (Lindley, Agardh, Watson, Boissier) and provided descriptions for most of the species known by that time in both eastern and western hemispheres, as well as the keys for the species’ definition. Our research is based on it as well. The genus Lupinus L. was then for the first time divided into two subgenera: A. Eulupinus and B. Platycarpos (Ascherson and Graebner, 1906-1910). This work was a starting point for our investigations. Taking into consideration the definition of two secondary centers of formation of different lupin species in the eastern and western hemispheres as well as essential morphological differences between lupin forms in both hemispheres, we managed to revise the volumes of two subgenera in the genus Lupinus L. according to the geographic principle. In our combination, subgen. Platycarpos (Wats). Kurl. incorporates numerous perennial and annual species of the western hemisphere, both groups having two, four and more seedbuds in the ovary, while subgen. Lupinus L. covers 11 annual species from the Mediterranean region and Africa with four and more seedbuds in the ovary. Heller published his works «The North American Lupines» and «The Nevada Lupines» after 1900. He described 59 species, of which 17 were virtually new (Heller, 1905a, 1905b, 1906, 1912). Beginning from 1917 Smith’s publications were coming forth. During a number of years his studies were published in the bulletins of Botanical Torr. club under the title «Studies in the genus Lupini» (1918-1924). This author described 56 new species and 33 new varieties. In 1925, Smith started to publish definitions of the species discovered by him in other periodicals. All these materials were united in his general monograph «Species Lupinorum» published in separate booklets from 1938 through 1953. They contained descriptions of different species from Mexico, North and South Americas, and also Mediterranean species, based of his study of herbarium materials and references. This research subsequently led to a real mess in the systematics of lupin from the western hemisphere. In the first issue of his monographic work, Smith made a catalog of the published names of lupin forms presented as species. There were more than 500 species (Smith, 1938). Since then this number has grown up and is still growing. A closer view on the materials of some species shows that there were dozens of synonyms. The latter circumstance has very strongly hindered the determination of their exact names. It can be also explained by the fact that till now there are explorers called ”splitters” who generously dispense the special title of “the species” to such forms that are rather poorly distinguished (Атабекова, 1962). 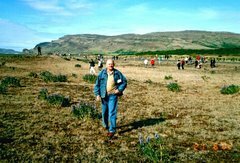 D. Dunn was for a long time engaged in studying lupins of North America. He made revision of the North American species, including Mexican ones (Dunn, 1955). As a result of his research, he made serious amendments and changes to the nomenclature of the genus Lupinus. In one of his works (Dunn, 1957) he included in a complex species L. arbustus Dougl. ex Lindl. described by other authors as independent. For example, L. laxiflorus sensu Agardh, which had been described by Agardh as a species, he attributed to L. arbustus subsp. neolaxiflorus, considering it to be a subspecies or a variant. All in all, he included in the named L. arbustus 6 previously described species. In his following work (Dunn, 1965) he revealed the links of relationship between L. arcticus, L. nootkatensis and L. polyphyllus. Research showed that all of them had hybrid origin, were very close to each other and constituted the most northern species of the genus. Their description and distribution were also presented in this work. In the next publication (Dunn, 1966) new names and synonyms of species included in the Lupinus concinnus - L.sparsiflorus complex were introduced: L.concinnus Agardh (subsp. concinnus), L. concinnus subsp. optatus (C.P.Smith) Dunn comb. nov., L. concinnus subsp. orcutti (Wats). Dunn comb. nov., Lupinus agardhianus Heller, L.pallidus Brandegee, L.brevior (Jeps). Chistian et Dunn comb. nov., L.sparsiflorus Benth. (subsp. sparsiflorus), L.sparsiflorus subsp. inopinatus (C.P.Smith) Dziekan. et Dunn comb. nov., L.sparsiflorus subsp. pondii (Greene) Dziekanowski et Dunn comb. nov., L.sparsiflorus subsp. pondii (Greene) Dziekan. et Dunn. Dunn (1984) described tentative group­ings of the 500-odd New World taxa, which he recognized as warranting descrip­tion at the specific or subspecific levels. The best studied are those of North and Central America. Further efforts in analyzing and revising the described numerous lupin species in the American continent were undertaken by Planchuelo (1984, 1994, 1998). Planchuelo and Dunn (1984) made public the beginnings of work with the hitherto poorly documented lupins of South America. In Planchuelo’s next publication (1994) the areas of Lupinus (both in the eastern and western hemispheres) were determined by taxonomic studies, extensive bibliographical review and field trips. The centers of species formation were classified into three regions, each of them having two subregions, as follows: North and Central American region with South-Eastern (SEN) and Western Mountain Range (WMR) subregions; South American region: divided into Atlantic (ATL) and Andean (AND) subregions; and Mediterranean and African region with European Mediterranean (EUM) and African Mountainous (AFM) subregions. Geographic delimitation of these regions and subregions is presented in the world map along with approximate estimation of the number of species present. Possible relationships between wild and cultivated species are also pointed out. However, this complex problem is far from being completed. Nobody can yet make a precise summarization of the number of Lupinus species existing now in reality in the western hemisphere. Large variability of lupin-growing places and conditions and entomophilous nature of pollination account for the presence of exceptional diversity in the forms of this plant on the American continent. The situation seems much easier with botanical research on lupin from the eastern hemisphere. Studies by Merkenschlager (1928-1929), Zhukovsky (1929), Fisher and Sengbusch (1935), Gladstones (1974, 1998) made it possible to outline the distribution of wild lupin species in the zone of the Mediterranean Sea and Africa. According to Gladstones (1974), there are 12 species of lupin in the eastern hemisphere, among which 11 are annual and one (most likely already extinct) perennial. However, the way toward this conclusion was difficult enough and full of contradictions. Study of lupin diversity of Mediterranean origin was also undertaken by Boissier (1842, 1843, 1849, 1872). In different times he made descriptions of L. hispanicus (Boisser and Reuter, 1842), L. graecus (Boisser, 843), L. palaestinus, L. Forskahlei and L. philistaeus (Boisser, 1849). Subsequent investigations clarified that L. Forskahlei is only a subspecies of L. pilosus L. and that L. philistaeus is one of the forms of L. angustifolius. Boissier’s (1872) research efforts were finalized in his «Flora Orientalis», in which he offered the description of ten species: L. albus L., L. angustifolius L., L. digitatus Forsk. L. graecus Boiss. and Sprunn., L. hirstitus L., L. hispanicus Boiss. Reut., L. palaestinus Boiss., L. pilosus L., L. reticulatus Desv. L. termis Forsk., and provided definition of three new species (L.graecus Boiss, L.hispanicus Boiss. and Reuter and L. palaestinus Boiss.). There was no L. luteus L. in this list, though further in the text the author identified the black-seeded form of yellow lupin as «Siberian» in spite of the fact that, in the author’s opinion, it had nothing to do with this geographic part of the globe. Research on the Mediterranean species was continued in the twentieth century by Hegi (1924). Zhukovsky (1929) gave description to only most widespread species from the eastern and western hemispheres. Thus, he raked L. termis Forsk. as a subspecies of L. albus L. and L. digitatus Forsk. as a variant of L. pilosus Murr. Libkind’s book „Lupin“ (Либкинд, 1932) analyzed the results of the research conducted on lupin collection accessions grown for a number of years at the Byelorussian and Ukrainian branches of the Institute of Plant Industry (VIR). On the basis of a cycle of observations she identified many new varieties and ecogeographic groups of ecotypes in the diversity of lupin forms. These investigations of hers made up a starting point also for our further research. 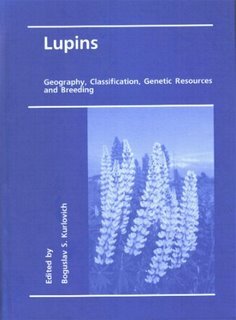 Some information on the botanical analysis of lupin is contained in the book by Sharapov (Шарапов, 1935) where there is a special section with the description of the genus Lupinus and biological and botanical characteristics of its major species. R. Mansfeld (1959) acknowledged the existence of the following species: Lupinus luteus L., L. albus L., L. termis Forsk., L. angustifolius L., L.hirsutus L., L. digitatus Forsk. and L. varius L. Kazimirski and Novacki (1961b) conducted detailed study of seeds and morphological attributes of 12 Mediterranean lupin species and finally came to the conclusion that only four species seemed indisputable: L. albus, L. angustifulius, L. luteus and L. rothmaleri. Other species (for example L. digitatus, L. pilosus, L. hirsutus and L. palaestinus) were considered by these authors debatable. On the basis of their studies and published data they united the species of Mediterranean origin in four sections: 1) species with yellow flowers - L. luteus and L. rothmaleri, 2) with blue flowers - L. angustifolius with subsp. L. linifolius Roth., 3) with white flowers - L. albus with subsp. L. termis Forsk., L. graecus Boiss. and L. jugoslavicus Kazim. et Novacki. 4) rough pubescent species - L. pilosus Murr., L. hirsutus L., L. digitatus Forsk. Others species, namely L. palaestinus, L. hispanicus Boiss. et Reut. and L. varius - they left outside of the sections for lack of data. Then, having continued their investigations on lupin together with Aniol, they found out that L. albus could be easily crossed with L. graecus Boiss. and L. termis Forsk. With this in view, they concluded that these taxa are only the subspecies of L. albus sensu lato (Kazimierski et al.,1968). They divided L. albus into five ecological subspecies: L. albus jugaslavicus, L. albus graecus, L. albus termis, L. albus albus, L. albus megalospermus. Mediterranean region and Africa and included one new species, L. atlanticus Gladstones. He states that though there are few lupin species in the Mediterranean countries and Africa, their taxonomy for a long time has been too complicated. Gladstones identified the following species: L. albus L., L.angustifolius L., L. micranthus Guss., L. luteus L., L. hispanicus Boiss. et Reut., L. cosentini Guss., L. digitatus Forsk., L. princei Harms, L. pilosus Murr., L. palaestinus Boiss., L. atlanticus Gladstones and L. somaliensis Baker. He pointed out many errors in the previous descriptions of the listed species and described the same species anew mentioning all their synonyms and introducing corrections and changes in the taxonomy of the Mediterranean lupin species. Gladstones (1974) indicated two varieties in L. albus L.: var. albus and var. graecus (Boiss. et Sprun.) J. S. Gladstones. The majority of botanists had previously regarded L. graecus as a separate species. In «Flora Europeae» it held the rank of a subspecies within L. albus L. White lupin (L. albus L.) is a crop plant cultivated in many regions. However, according to Gladstones (1974), it is necessary to regard graecus as the wild form of L. albus L. We completely agree with this judgement, as albus differs from graecus in its morphological and physiological traits that have appeared as a result of selection. For instance, albus is characterized by indehiscent pods, water-permeable seed coat, large seed of white colour, more straight growth habit and early flowering (similar changes were obtained by breeders in other lupin species). However, we suppose that attributing to graecus the rank of a subspecies would be more correct, as it has a definite area of distribution. In Gladstones’ description of var. graecus (Boiss. et Sprun.) J. S. Gladstones the author enumerates its synonyms: L. graecus Boiss. et Sprun. (1843), L. jugoslavicus Kazim. et Now. (1961), L. vavilovi Atab. et Maiss. (1962) and L. albus subsp. graecus (Boiss. et Sprun.) Franco et P.Silva (1968). As we see, Gladstones (1974) jettisoned one more species from the Mediterranean group, namely L. vavilovi, the description of which was published by Atabekova and Maissurjan (Атабекова and Майсурян, 1962). Furthermore, Gladstones also considered L. jugoslavicus (= L. vavilovi) to look very much like L. graecus. J.S. Gladstones expands the number of synonyms of L. angustifolius L. up to L. linifolilus Roth. and L.opsianthlis Atab. et Maiss. He founds in each of them many features in common with L. angustifolius; however, both of them have finer leaflets and seeds. Among the synonyms of L. angustifolius he also named L. reticulatus Desv. and L. philistaelus Boiss., thus disagreeing with Franco and Silva (1968). J.S. Gladstones updated the systematic position of L. micranthus Guss. Having analyzed the herbarium of Linnaeus, he came to the conclusion that L. hirsutus L. was named so by mistake and this name should be rejected in favor of a later, but more definite one – L. micranthus Cuss. It would agree with «Flora Europaea» where in the description of L. micranthus L. hirsutus L. appeared as its synonym. J.S. Gladstones did not introduce any changes in the systematization of L. luteus L. In Mediterranean countries alongside with L. luteus L also occurs L. hispanicus Boiss. et Reut. Gladstones partitioned this species in two subspecies: subsp. hispanicus and subsp. bicolor. In his description of new subsp. bicolor (Merino) J.S.Gladstones the author mentioned as its synonyms the following species: L. bicolor (Merino) Rothmaler, L. rothmaleri Klink., L. hispanicus sensu auct. non Boiss. et Reut. : Franco et P.Silva, L. versicolor Caballero with varieties L. luteus var. bicolor and L. hispanicus var. bicolor Merino. In Gladstones’ (1974) opinion, there are many inaccuracies in the taxonomy of L. cosentinii Guss. Some researchers erroneously determined it as L. varius L. This error is repeated in modern European and Australian literature. Other botanists attribute it as a subspecies to L. pilosus Murr., but it is not correct either. As it has become known, L. pilosus (n = 21) differs from L. cosentinii (n = 16), and crosses between them yield only non-viable seeds. Some authors considered that L. cosentinii is a synonym of L. digitatus Forsk., but it has appeared that the latter was described earlier. Gladstones gave a new status to these two taxa by placing them to the level of independent species: L. cosentinii Cuss. and L. digitatus Forsk. L. pilosus Murr. is also a chaotic species and it is not easy to disentangle its taxonomy. Gladstones named the following synonyms thereof: L. hirsutus L., L. varius L., L. varius subsp. orientalis Franco et P.Silva. Maissurjan and Atabekova (1974) reckoned among the synonyms of this species also L. varius L., L. silvestris Lam. and L. semiverticillatus Desr. They leave the authorship of L. pilosus to Linnaeus, though Lupinus pilosus Murr. has received almost everybody’s recognition. Until now some of the botanists go on applying the name of L. hirsutus instead of L. pilosus. It seems incorrect, as L. hirsutus (now L. micranthus Guss.) and L. pilosus are well differentiated. The reason of this confusion was that in the standard herbarium of Linnaeus the accession of L. pilosus (No 898.3) was lost and probably by accident was replaced by a sample of L. varius. The following consecutive number (No 898.4) was assigned to L. micranthus. Franco and Silva (1968) used the name of L. varius for L. pilosus Murr. (widespread in Greece, Syria, Israel, Eastern and Southern Turkey). They combined it with L. digitatus Forsk. under the common specific title of L. varius subsp. orientalis Franko et P.Silva Gladstones (1974) also described three less widespread species: L. atlanticus Gladstones, L. princei Harms and L. somaliensis Baker. L. atlanticus Gladst. is an annual species from the rough-seeded group. It has traits tightly cognate with L. pilosus, L. digitatus and L. cosentinii, but also manifests differences from them. It is widespread in Morocco, at the altitude of 900-1500 m. Thus, having conducted revision of lupin from the Mediterranean region and Africa, Gladstones (1974, 1998) numbered 12 species with this genus. He explained numerous taxonomic differences by discrepancies in previous classifications. In most cases he managed to clarify the taxonomy of the Mediterranean and African species. However, some problems remain disputable. We do not regard necessary to include in the list of Mediterranean and African species sp. L. somaliensis Baker which no one of the contemporaries noticed. There is vagueness in the taxonomy of L. princei Harms. Immunological genetic and electrophoretic research allow to specify many questions of systematic (Wolko and Weden, 1990, 1994; Swęcicki W.K. and Wolko, 1992; Salmanowich and Przybylska, 1994). In particular, valuable research is presented in the work of Salmanowich and Przybylska (1994) about electrophoretic analysis. PAGE and SDS-PAGE electrophoretic analysis of 31 accessions of 10 Old-World Lupinus species, 5 smooth-seeded and 5 rough-seeded, covered total seed albumins and 2S albumins isolated by a solid-phase extraction. PAGE albumin patterns showed a distinct difference between the smooth- and rough-seeded lupins. SDS-PAGF analysis of seed albumins revealed interspecific differences, mainly due to the 2S albumnins. The differences were especially marked in the smooth-seeded species. In the rough-seeded lupins the fol­lowing subgroups were distinguished: (1) L. atlanticus, (2) L. cosentinii and L. digitatus, (3) L. palaestinus and L. pilosus. Evidence was provided that the 2S albumin class contains conglutin g, so far classified as a globulin. The results of the authors are discussed with reference to taxonomic relationships of the Old-World lupins and characterization of the lupin seed albumin fraction. Further development and perfecting of intraspecific classifications is required, especially for domesticated lupin species. This work presents intraspecific classifications designed by us for three species widely utilized in agriculture (L. albus L., L. angustifolius L. and L. luteus L.). These researches are based on Vavilov’s concept of the species as a certain complex system. Therefore, while studying species on the basis of Vavilov’s concepts we have taken into account not only morphological characters, but also geographical and ecological differentiation and other properties of plants (differential systematic and geographical method of crop studies). Such approach based on the development of different intraspecific classifications has made it possible to conduct thorough and comprehensive investigation of intraspecific and varietal diversity of cultivated plants and to find ways of their efficient utilization. Many years of observing the plants of lupin sown in various regions have enabled us to find out new regularities in the variability of characters, depending on genetic features of species and accessions, and also on ecological and agronomic conditions of their growing. The authors of the present work array the identified rich diversity of forms in a definite system, founded on the steady combinations of several characters of generative and vegetative plant parts. As a result, subspecies, varieties, subvarieties, forms, geotypes and ecotypes have been established for the three annual domesticated lupin species. The collection of the N.I. Vavilov Institute served as a material for this purpose. In summary, it should be mentioned here that the genus Lupinus L. is still waiting for researchers who could find out the true number of species and their intraspecific taxa within this polymorphous genus, especially on the American continent. That will help to clear up many theoretical and practical problems.